Cave-ins happen in nearby caves while I'm mining. 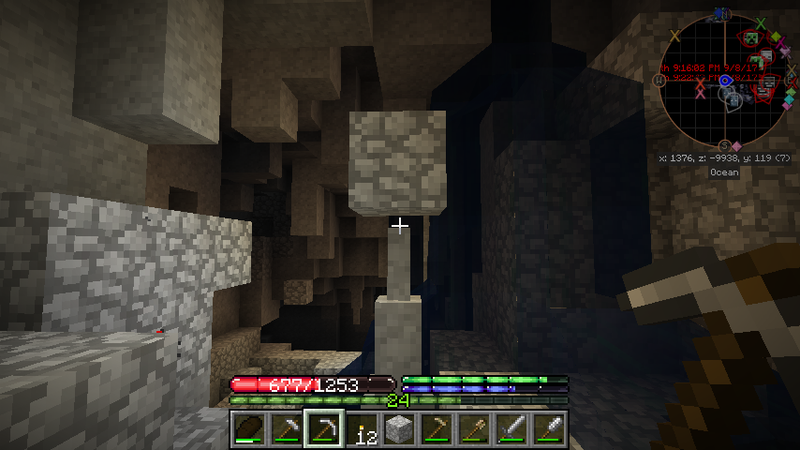 This leads to cobble falling on stalactites and making that really annoying falling sound forever. I can't find every single block that falls on these because they get buried from all of the other blocks.